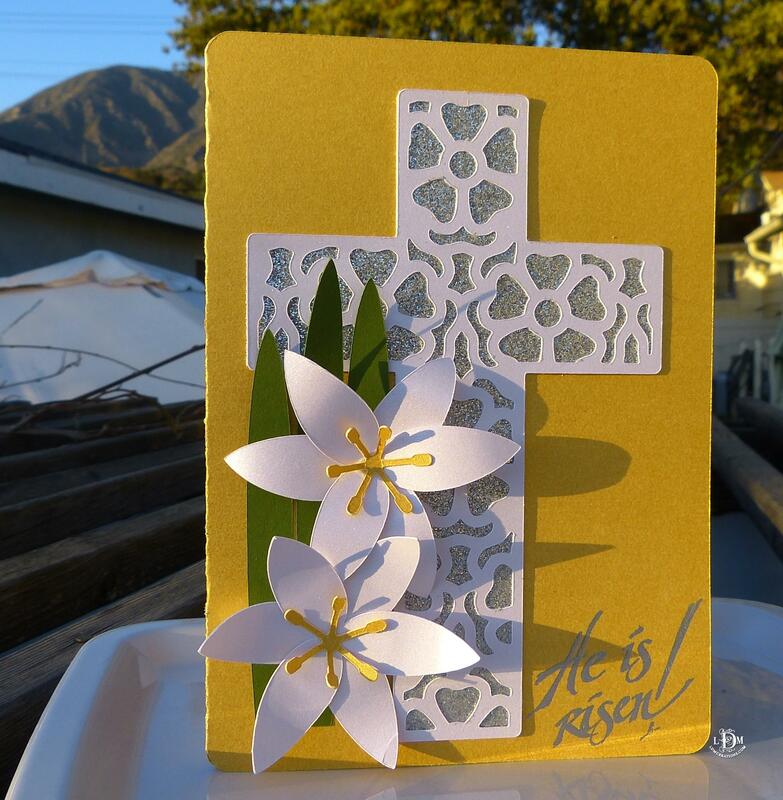 Today I bring you a card using Bird Cards free Easter SVG file which I am liking here. This beautiful file ha several pieces. 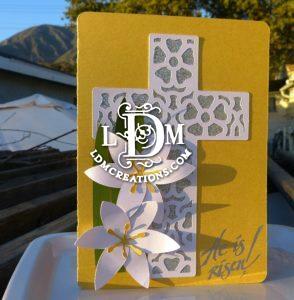 I chose to use only some and those been the card base, the cross background, the cross lace overlay and the lillies. I used my cricut Air 2 to cut the files.